Leading researchers at the Australian Maritime College will be at the forefront of the robotic age of Antarctic exploration with the announcement of a $24 million Antarctic Gateway Partnership. Launched by the Australian Government in November 2014, the grant includes $7.5 million contribution to establish a marine technology hub to build next-generation hybrid autonomous vehicles capable of exploring hundreds of kilometres under metres-thick ice. Leading this research and development is AMC’s autonomous underwater vehicle (AUV) and fluid mechanics expert Dr Alex Forrest. “Tasmania has a real critical mass in terms of Antarctic research, robotic or otherwise, that we are capitalising on through this project,” Dr Forrest said. Work is underway to establish the AUV facility at AMC in Launceston, including the recruitment of four new positions. The aim is to research, design and build the robots over the next three years in readiness for deployment in 2018, the final year of the project. “We’ll be looking at what the interesting science questions are and how an AUV facility can develop multiple types of vehicles with the support staff necessary to target those projects,” Dr Forrest said. Dr Forrest has spent nearly a decade specialising in under-ice deployments in the Arctic and Antarctic. 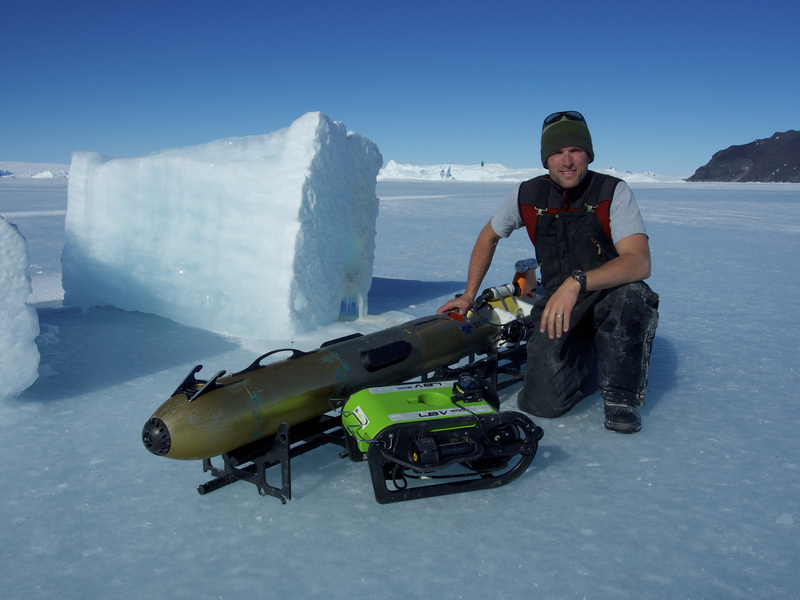 Most recently, he was part of an international research expedition to Antarctica in October 2014 where he studied algae growth underneath sea ice using the AUV UBC-Gavia, a vehicle based at AMC. Robotic under-ice sampling is far more efficient and accurate than traditional methods – divers are currently limited to operating within a 20-metre radius of the drilled hole and core sampling gathers data from single locations. Robots can be used for broad-scale measurements that capture any horizontal variability, rather than estimating it based on fixed point sampling. “This AUV has very expensive navigation equipment that estimates its exact location, providing the longitude and latitude for every measurement down to centimetre accuracy. So we know exactly where we are when we’re taking a measurement and from that we can build three-dimensional spatial maps,” he said. While the UBC-Gavia has a relatively short range of 20 to 30 kilometres, the aim of the new AUV facility is to develop a fleet of robots fitted with an array of scientific sensors and capable of travelling much longer distances. The project is a collaboration between AMC and the Institute for Marine and Antarctic Studies (University of Tasmania), the University of Canterbury (New Zealand), and Aarhus University (Denmark), with funding from the New Zealand Antarctic Research Institute. The three-year project is funded by the Australian Research Council and brings together the University of Tasmania’s Institute for Marine and Antarctic Studies and Australian Maritime College, CSIRO’s Oceans and Atmosphere Flagship, and the Australian Antarctic Division. 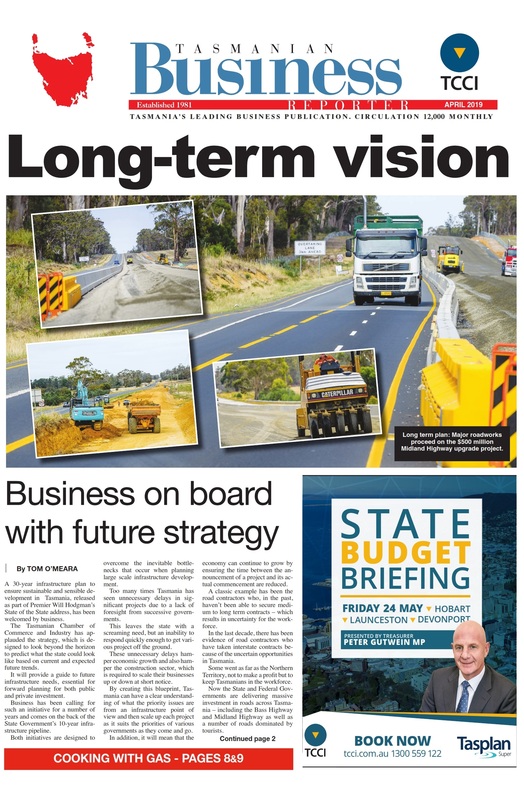 Tasmania’s Tourism Take-off: make sure you fasten your seatbelts!